The goals of an estate plan are straight forward: they are to ensure that at death, one’s debts and obligations are taken care of, and one’s remaining property is then given to chosen loved ones or used for special purposes. 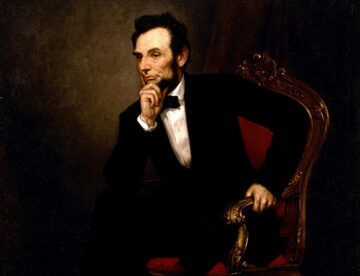 The one way you don’t want to be like Kentucky Lawyer and President, Abraham Lincoln? Dying without an estate plan. 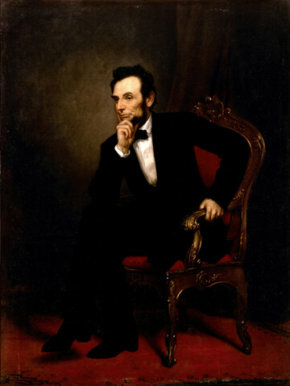 George Peter Alexander Healy, “Abraham Lincoln,” 1869. Oil on canvas, 73.7 in × 55.6 in. White House, Washington, D.C. There is a good rule of thumb to follow in most situations–don’t make something harder than it needs to be. This holds true with Estate Planning as well. The first question I ask clients seeking a Kentucky Estate Plan is “what are their needs?”. Are they complex or simple? Do they have unincorporated family businesses to operate post-death?Do they have special needs children or grandchildren they want to protect? Are there significant privacy interests at stake? Are they trying to position themselves to qualify for welfare to pay for future nursing home expenses? Do they have a wealth of assets (exceeding $5.5 million per person or $11 million per couple) to pass on? Unless you fall within one of these categories, you probably do not need a Trust. The needs of most people are straight-forward: first, to give everything to a spouse, or if that spouse has died, to leave the bulk of their estate to children or grandchildren and make some special gifts to charities. For most, a simple, three-legged plan will serve for a lifetime. The first tool every estate plan should include is a Durable Power of Attorney. Think about your remaining days as a time continuum. For the present, you are physically and mentally healthy and can handle your affairs without assistance. But someday–and one never knows if “someday” will happen tomorrow or not for many decades–you may need some assistance. Perhaps you are laid up from a car accident or health crises. You may need someone to go to the bank and borrow money, apply for disability, negotiate an injury settlement, make a decision about surgery or chemotherapy on your behalf. How do you ensure that someone you trust can accomplish these things for you when banks and doctors are loath to accept the claim, “but I’m his/her spouse” as legal authority? A Durable Power of Attorney allows someone you designate to have your written authority to act legally on your behalf in as wide a range of financial and medical scenarios as you wish to approve. Further down the line, you or your loved one becomes mortally ill—in a coma, unresponsive, being fed medications and food through tubes—and the doctor announces, “some decisions now need to be made.” These are life and death decisions which can cause rifts between family members for years to come. What if the loved one could make their own decision about removing life support themselves, and spare the family that agony? Kentucky’s Legislature allows this, and it’s called a Living Will. This is your second tool. In a Living Will, you plan that, in the eventuality you face a lingering death without quality of life, and would prefer to be allowed to die more quickly, a designated loved one, a “Health Care Surrogate,” can execute your pre-stated wishes to either halt all medications and nutrition, except pain medications, or to continue them indefinitely. You have thus made your own decision, and your spouse and/or children will be less likely to carry the emotional burden of having participated in this end. The third tool is your Last Will and Testament. Following your death, someone needs to gather all of your assets, pay for your funeral, honor your debts, pay your final income taxes, sell your house, and distribute the remaining property to your chosen beneficiaries. This process is called Probate. In Kentucky, probate is straight forward and inexpensive. It can happen with or without a Will, but with a Will, you control the process and the outcome. (Without a Will (Intestacy), statutes control who will handle your estate, and who will get your property, which typically is ½ to your spouse and ½ to either your children, parents, siblings or spouse, and in that order.) Either way, the process is designed to permit time for your assets to be located (marshaled), and creditors notified and given a short amount of time (six months) to ask to be paid. Typically, at the end of six months the remaining assets are distributed to the beneficiaries of the Will. A Will is a remarkably flexible instrument; it can and should be personalized to speak to those left behind, to meet their needs as you see fit, and in a manner you see as proper. You can do nearly anything that is not illegal. You can give, or not give, to anyone you choose. A Will can be entirely in your own handwriting if signed and dated, or it can be typed, if it’s signed in front of two witnesses, although a professionally-prepared Will is often preferable. A well-drawn Will is durable; it can continue to be current and effective for many years and through the births of new children or the deaths of others. It typically contains both a Plan A and a Plan B. For example, a Will can allude to a list of small gifts intended to honor memories, such as the special rocking chair you promised to your granddaughter, or the Eagle Scout award you want your Boy Scout grandson to have. Larger specific bequests can focus on charitable gifts you always wanted to make, but hadn’t out of uncertainty over concerns about paying for a nursing home. If your kids are grown and financially independent, perhaps this is the best possible moment to help your church’s building fund, improve the Humane Society’s Animal Shelter, or thank a great next-door neighbor who always watched out for you and your house. If you have minor children your Will can name their Guardian, and it can create a simple Educational Trust that guides your children into college, honors their future good decisions, and delays their access to money until they are mature enough to handle such wealth. You get to name the Trustee, and detail how you want your children cared for. Lastly, your Will can name the person or persons you want to serve as your Executor or Executrix, and even identify the accountant or lawyer you want to assist the Executor. The simple three-legged Kentucky estate plan described above is comprehensive in its scope, flexible to meet contingencies and generally able to meet all of the needs of most families. And above all, simple is better.